Gavin Dugas, who practically grew up on a golf course, played in his first tournament as a 7-year-old. Gavin Dugas can’t remember a time when he didn’t have some kind of golf club in his hands. He started with plastic clubs with an oversized head and graduated to sawed off regular clubs, and then to the full-length version. Dugas played in his first tournament, a U.S. Kids Junior qualifier, when he was 7. 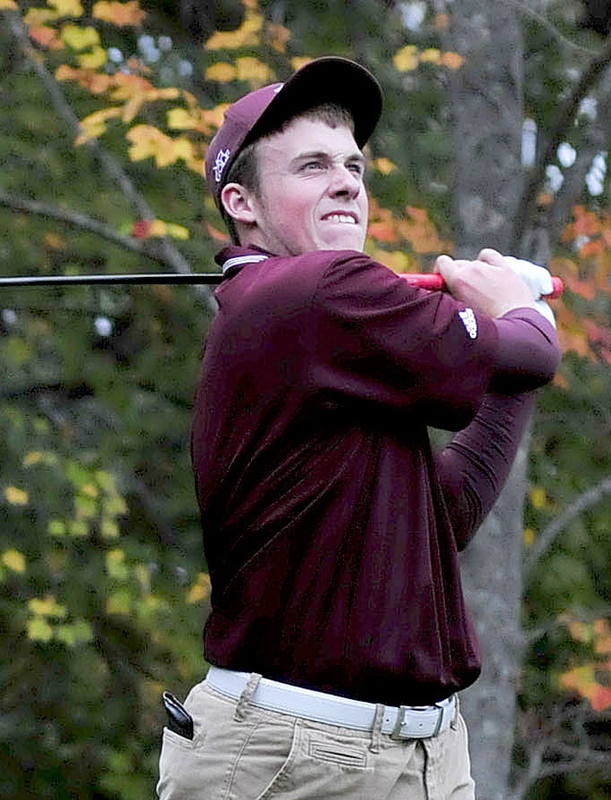 He was a regular on the Maine State Golf Association’s Junior Tour starting at 12. That happens when your family owns a golf course and your father is a golf pro. Fast forward to this November, and there was Dugas winning the Class B state championship. His round of 71 at Natanis was the lowest for boys in all three classes. Dugas didn’t lose a match during the regular season. He signed a letter of intent to play at Division II Southern New Hampshire University. Dugas got hot again at the right time. “I shot a 33 in my second-to-last match at the Waterville Country Club,” he said. In the state individual championship, Dugas got off to a fast start. “I shot a 36 on the front side, which got me going,” he said. Paul Greco, his coach, said Dugas always had the potential to win the state title. “I always knew Gavin could do it. It was just a question of staying relaxed and focused,” he said. Since he started playing as a freshman, Dugas has pointed to the state individual and team championships. He’s been close before in the individual championship. Everything clicked for him in his last chance. “It meant a lot to win it. It was a good way to end my high school career. It’s what I’ve worked for ever since entering high school,” said Dugas. Dugas said his dad, Mike, has been a big influence on his game. While Dugas gets away on occasion to play golf with his father and his younger brother, Eric, during the winter, Dugas looks forward to taking a break from the game to enjoy winter sports. Dugas also reunited with a sport he hasn’t played since the eighth grade. He’s playing basketball for MCI this winter. “I’m a little rusty, but it’s coming around,” he said.